This model has been discontinued. 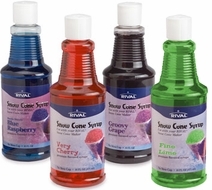 As an alternative, we recommend the Rival Snow Cone Syrup (3 pack). 16 oz. bottles includes Blue Raspberry, Cherry, Grape, and Lime flavors.